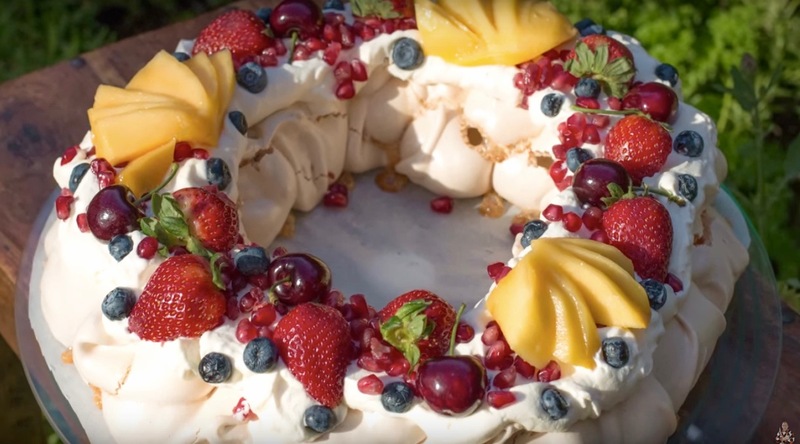 Nothing is more traditional at Christmas in Australia than a Pavlova and here I have added a little twist by making it in the shape of a wreath. Add Delicious Fresh Red and Gold fruits and you are sure to have a winner. Separate the egg whites and place in a clean bowl. Whisk until light soft peaks. Pour in half the sugar and whisk again until it becomes silky. Add the Cornstarch, vinegar, vanilla and the rest of the sugar and whisk until firm peaks form. You should be able to hold the bowl upside down without the egg whites falling out of the bowl. Spoon the Meringue mixture onto baking tray lined with baking paper. 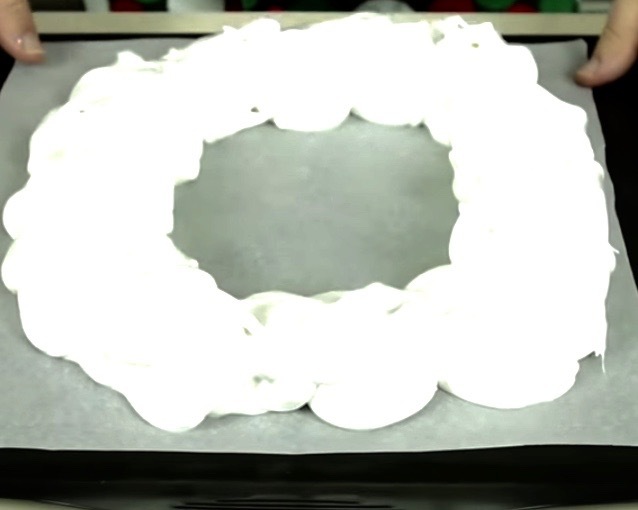 You want to form a wreath shape with the mixture. Place the tray into the oven and cook for 1 1/2 -2 hours until it had risen and gone a light sandy colour. When the Pavlova is cooked turn off the oven and leave it in the oven to cool down. Once it has cooled completely slide the Pavlova onto a serving plate. 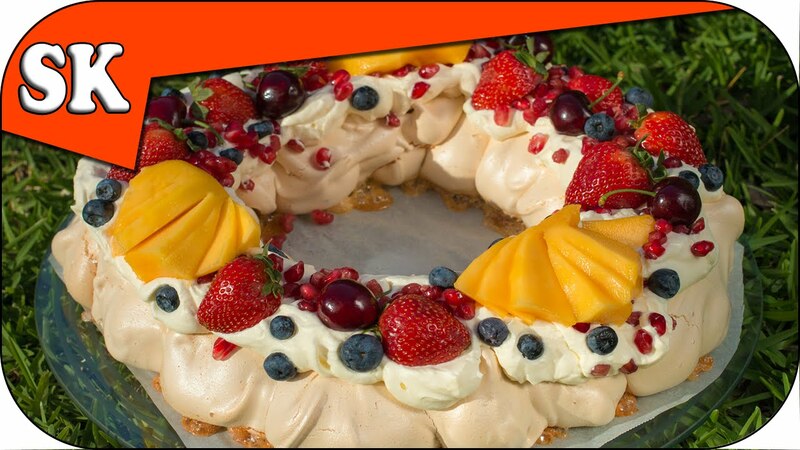 When you are ready to serve the Pavlova, whip up some cream and put a nice thick layer on the meringue. Then decorate with lots of fresh fruits and you are ready to go.